WASHINGTON, DC -- In 1983, the ABC television network broadcast a movie called The Day After about how a superpower nuclear exchange devastated the lives of typical Americans in two midwestern cities. 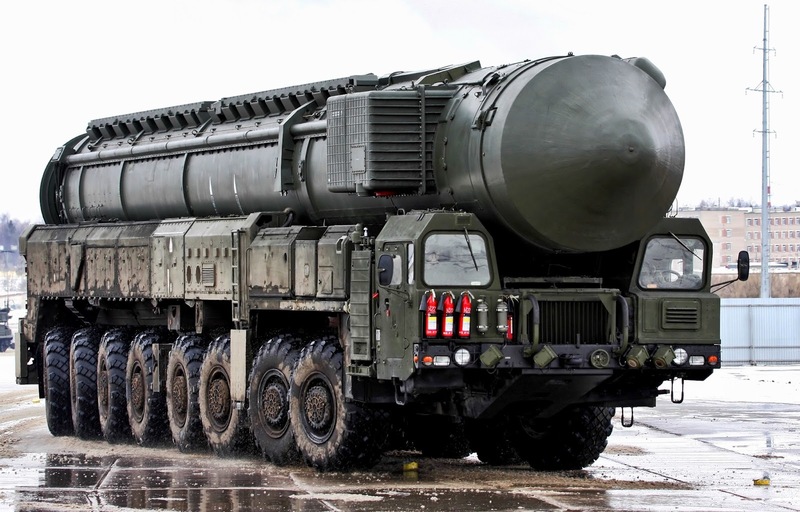 This mobile intercontinental ballistic missile launcher is emblematic of Moscow’s continuing investment in nuclear weapons, reflecting a doctrinal emphasis that includes potential nuclear use in response to conventional aggression. The conflict began with a Russian troop buildup in Eastern Europe (which Moscow initially claimed to be a military exercise), and then gradually escalated to a point where both sides launched their nuclear missiles for fear of losing them in a preemptive attack. Coming as it did during a period of U.S.-Soviet tensions and controversy surrounding Reagan Administration nuclear policies, the broadcast attracted a huge audience of over 100 million viewers; it is still the highest rated made-for-television movie in U.S. history. Americans haven’t thought much about such scenarios since the Cold War ended, because the Soviet Union dissolved and the ideological rivalry between Washington and Moscow ceased. However, this year’s crisis over Ukraine is a reminder that Russia remains a nuclear superpower, and that the geopolitical sources of its security concerns have not vanished. In fact, Moscow may have greater reason for worrying today, because it has lost the buffer of allies that insulated it from Western attack during the Cold War, and now finds its capital only a few minutes from the eastern border of Ukraine by jet (less by missile). If you know the history of the region, then it is easy to see why Moscow might fear aggression. Although the Obama Administration is responding cautiously to Moscow’s annexation of Ukraine’s province of Crimea in March, its credibility is on the line with regional allies and Russian leader Vladimir Putin has not been helpful in defusing the fears of his neighbors. Having fomented revolt in eastern Ukraine, Moscow now says it might be forced to come to the aid of ethnic Russians there (it has massed 40,000 troops on the other side of the border, in what was first called an exercise). Meanwhile, the U.S. has increased its own military presence in the neighborhood, reiterating security guarantees to local members of NATO. So little by little, tensions are ratcheting up. One facet of the regional military balance that bears watching is the presence of so-called nonstrategic nuclear weapons on both sides. Once called tactical nuclear weapons, these missiles, bombs and other devices were bought during the Cold War to compensate for any shortfalls in conventional firepower during a conflict. According to Amy Woolf of the Congressional Research Service, the U.S. has about 200 such weapons in Europe, some of which are available for use by local allies in a war. Woolf says Russia has about 2,000 nonstrategic nuclear warheads in its active arsenal — many of them within striking distance of Ukraine — and that successive revisions of Russian military strategy appear “to place a greater reliance on nuclear weapons” to balance the U.S. advantage in high-tech conventional weapons. A 2011 study by the respected RAND Corporation came to much the same conclusion, stating that Russian doctrine explicitly recognizes the possibility of using nuclear weapons in response to conventional aggression. Not only does Moscow see nuclear use as a potential escalatory option in a regional war, but it also envisions using nuclear weapons to de-escalate a conflict. This isn’t just Russian saber-rattling. The U.S. and its NATO partners too envision the possibility of nuclear use in a European war. The Obama Administration had the opportunity to back away from such thinking in a 2010 Nuclear Posture Review, and instead decided it would retain forward-deployed nuclear weapons in Europe under a doctrine known as extended deterrence. Eastern European nations that joined NATO after the Soviet collapse have been especially supportive of having U.S. nuclear weapons nearby. So improbable though it may seem, doctrine and capabilities exist on both sides that could lead to nuclear use in a confrontation over Ukraine. Here are four ways that what started out as a local crisis could turn into something much worse. As the U.S. has stumbled from one military mis-adventure to another over the last several decades, it has become clear that Washington isn’t very good at interpreting intelligence. Even when vital information is available, it gets filtered by preconceptions and bureaucratic processes so that the wrong conclusions are drawn. Similar problems exist in Moscow. For instance, the Cuban missile crisis of 1962 arose partly from Soviet leader Khrushchev’s assessment that President Kennedy was weaker than he turned out to be, and the U.S. Navy nearly provoked use of a nuclear torpedo by a Russian submarine during the blockade because it misjudged the enemy’s likely reaction to being threatened. It is easy to imagine similar misjudgments in Ukraine, which Washington and Moscow approach from very different perspectives. Any sizable deployment of U.S. forces in the region could provoke Russian escalation. When tensions are high, rival leaders often seek to send signals about their intentions as a way of shaping outcomes. But the meaning of such signals can easily be confused by the need of leaders to address multiple audiences at the same time, and by the different frames of reference each side is applying. Even the process of translation can change the apparent meaning of messages in subtle ways. So when Russian foreign minister Lavrov spoke this week (in English) about the possible need to come to the aid of ethnic Russians in eastern Ukraine, Washington had to guess whether he was stating the public rationale for an invasion, sending a warning signal to Kiev about its internal counter-terror campaign, or trying to accomplish some other purpose. Misinterpretation of such signals can become a reciprocal process that sends both sides up the “ladder of escalation” quickly, to a point where nuclear use seems like the logical next step. If military confrontation between Russia and NATO gave way to conventional conflict, one side or the other would eventually face defeat. Russia has a distinct numerical advantage in the area around Ukraine, but its military consists mainly of conscripts and is poorly equipped compared with Western counterparts. Whichever side found itself losing would have to weigh the drawbacks of losing against those of escalating to the use of tactical nuclear weapons. Moscow would have to contemplate the possibility of a permanent enemy presence near its heartland, while Washington might face the collapse of NATO, its most important alliance. In such circumstances, the use of “only” one of two tactical nuclear warheads to avert an outcome with such far-reaching consequences might seem reasonable — especially given the existence of relevant capabilities and supportive doctrine on both sides. Strategic nuclear weapons like intercontinental ballistic missiles are tightly controlled by senior military leaders in Russia and America, making their unauthorized or accidental use nearly impossible. That is less the case with nonstrategic nuclear weapons, which at some point in the course of an escalatory process need to be released to the control of local commanders if they are to have military utility. U.S. policy even envisions letting allies deliver tactical warheads against enemy targets. 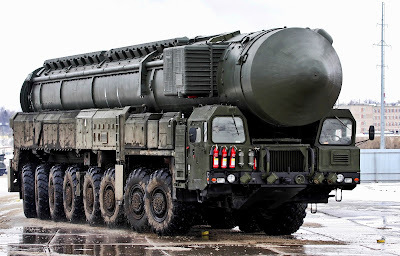 Moscow probably doesn’t trust its allies to that degree, but with more tactical nuclear weapons in more locations, there is a greater likelihood that local Russian commanders might have the latitude to initiate nuclear use in the chaos of battle. Russian doctrine endorses nuclear-weapons use in response to conventional aggression threatening the homeland, and obstacles to local initiative often break down once hostilities commence. When you consider all the processes working to degrade restraint in wartime — poor intelligence, garbled communication, battlefield setbacks, command attenuation, and a host of other influences — it seems reasonable to consider that a military confrontation between NATO and Russia might in some manner escalate out of control, even to the point of using nuclear weapons. And because Ukraine is so close to the Russian heartland (about 250 miles from Moscow) there’s no telling what might happen once the nuclear “firebreak” is crossed. All this terminology — firebreaks, ladders of escalation, extended deterrence — was devised during the Cold War to deal with potential warfighting scenarios in Europe. So if there is a renewed possibility of tensions leading to war over Ukraine (or some other former Soviet possession), perhaps the time has come to revive such thinking.